George Bernard Shaw was enchanted by this beautiful city: for him, it was paradise. Millions of people also take home happy memories from this "jewel of the Adriatic". 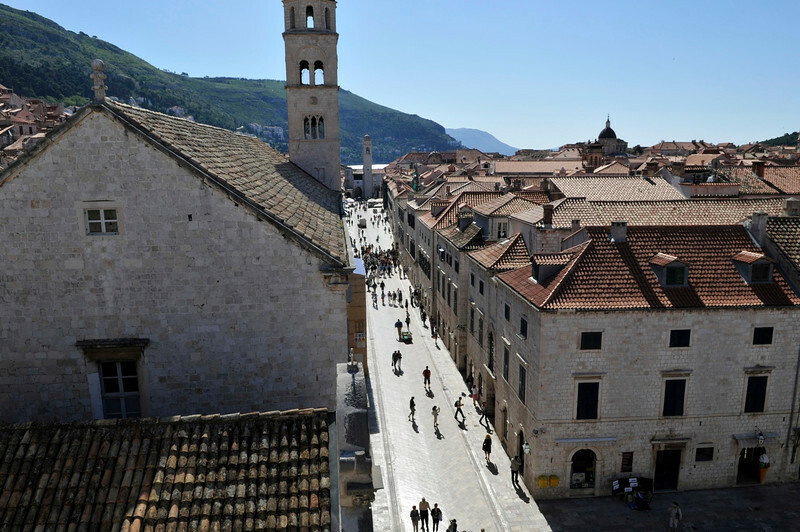 Dubrovnik has a remarkable history. An independent, merchant republic for 700 years (abolished by Napoleon in 1806), it traded with Turkey and India in the East (with a consul in Goa, India) and had trade representatives in Africa (in the Cape Verde Islands). It even had diplomatic relations with the English court in the middle ages. (There is a letter from Elizabeth I on display in the City Museum in Dubrovnik). Its status was such that powerful and rich Venice was envious of this Croatian-Slav city. The old town was completed in the 13th century and remains virtually unchanged to the present day. Tall ramparts surround it and there are only two entrances to the old town which lead to the Stradun, the city's promenade. One of the greatest pleasures for many visitors is to have a drink in one of the nearby cafes and watch the world go by, whilst they themselves are being watched by the city patron, St. Blaise, or Sveti Vlaho as the locals call him. In 1991/2, the Serbs shelled the city causing considerable damage, but thanks to local efforts and international aid, the old town has been restored to its former beauty. But whatever we say, our words do not give justice to this dazzling place. So come soon and see it with your own eyes! We did visit this city and the pictures you are going to see show what a beautiful place this is. There are about 100 pictures so view them all.